Independent estate agents with property listings for Sale & Rent in Llandudno, Conwy, Deganwy, Glan Conwy, Penrhyn Bay, Rhos on Sea, Colwyn Bay, Llandudno Junction the Conwy Valley and surrounding areas in North Wales. 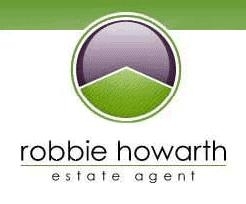 Robbie Howarth are an independent family run estate agency trading since 1988 and are one of North Wales oldest established independent estate agents. We have property listings for Sale & Rent in Llandudno, Conwy, Deganwy, Glan Conwy, Penrhyn Bay, Rhos on Sea, Colwyn Bay, Llandudno Junction, the Conwy Valley, the Borough of Conwy & surrounding areas in North Wales.